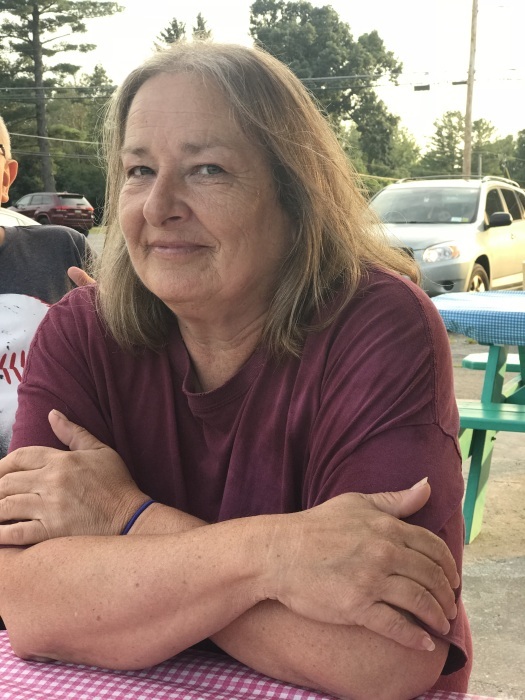 Sharon Jo “Sherry” Catalano , 55 of Emerson Rd., Port Byron, passed away Wednesday, March 20, 2019 at Memorial Sloan Kettering Cancer Center in NYC. Sherry was born in Auburn on October 16, 1963. She was employed with Emcom in Auburn NY for 3 years. Sherry enjoyed camping, bowling and family parties at her parents’ house. Above all Sherry loved the time she spent with her family, especially her grandchildren. Sherry is survived by her loving husband of 36 years, Byron Catalano; her children, George (Kathy) Catalano and Kara (George) Tratt, her parents, George and Betty Williams Magee; her grandchildren, who meant the world to her, Jacey, Zac, Ryan, George Jr. Byron, Seth, Collin, Emma, Lillian and Julia; her two beloved great grandchildren, Ava and Alaina; her sisters, Cindy (Mark), Shirley (Jim) and Jackie(Brian); her brother, Mike (Judi); and several nieces and nephews. Visitation will be held Tuesday, March 26th from 3-6pm at White Chapel Funeral Home, 2719 Erie Dr. Weedsport. Services to immediately follow at 6pm at the funeral home. In lieu of flowers donations in Sherry’s memory may be made to Memorial Sloan Kettering Cancer Center. The family would like to extend a special thank you to Dr. Daniela Molena at MSK for her exceptional care and compassion.